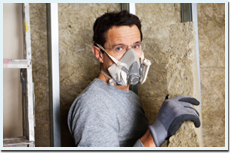 Mold removal is necessary whenever there is an excessive growth of molds in any areas of the house. Basically, these microorganisms exist because of moisture caused by flooding, faulty pipes and uncleaned wet areas. Over time, these molds can damage walls, floor surface and even home furniture, which will require repair and thorough cleaning. The molds can also bring respiratory problems and allergic skin reactions to anyone staying in the house. 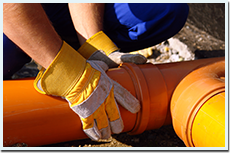 Thus, whenever there is a leaking pipe or small flooding in the house, an expert technician should do the process of water damage restoration and mold removal so that these problems are avoided. Clearway Restoration has highly trained and licensed professional technicians who can easily identify mold growth and moist areas. These individuals are well experienced when it comes to mold removal and damage restoration. 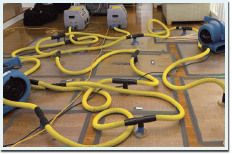 They are geared to high-end equipment and techniques, that is why; it is not difficult for them to remove the mold that caused the damages to furniture or floor surfaces. Whenever there is a mold infested area in your house, our professional technicians will immediately conduct the necessary tests to determine the number of molds that need to be removed and to know whether it is toxic or not. They will not just clean it up without controlling the variables that can potentially escape the molds. They will always ensure that molds are removed completely without exposing it to the entire household and people within the area. 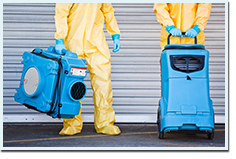 We do not delay any services on mold removal because we know that these microorganisms can be fatal to your health. As soon as you call us, our group of people will immediately come to your household and conduct the tests before providing the required treatment. It is our call of duty to provide the homes in Santa Clara a peaceful and disease-free area. Hence, we always ensure that our services will effectively remove the molds and the moisture that caused it. We will make sure that there is no debris left and that the area is kept clean and dried. We will also suggest the necessary measures that can avoid the growth of molds or the presence of moisture. With our effective and efficient services that come at a reasonable price, we can guarantee you that your home will be restored and your family can live a peaceful life in Santa Clara.